For sale is a set of painted Assetto Corsa Style Hood Vents. 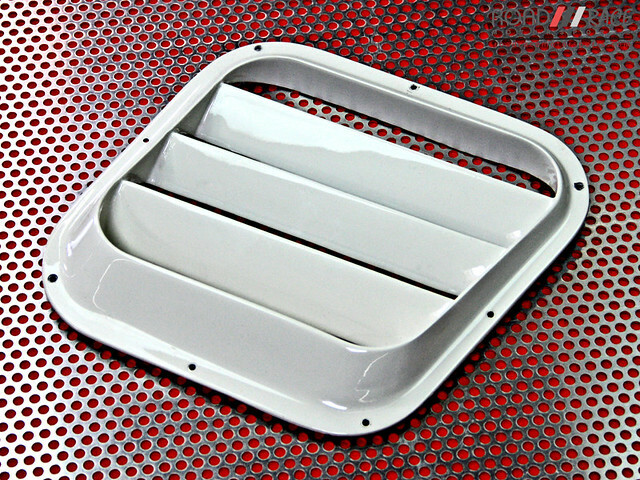 This set of vents already comes pre drilled, prepped and painted PW3 (paint code) to match your white 500, 500T, or Abarth. Call if interested in any details or pictures. These Assetto Corsa style hood vent kits from CarbonTrix will not only add beautiful styling to your Abarth , 500T, or standard 500, but will also help extract hot air from the engine bay.This vent can be implemented into the hood and can truly compliment the intakes we have designed for the 500, and Abarth. These genuine carbon fiber hood vents from Road Race Motorsports will not only add beautiful styling to your Abarth , 500T, or standard 500, but will also add some incoming fresh air from outside into the engine bay where fresh, cool air will be a welcome addition under the hood. 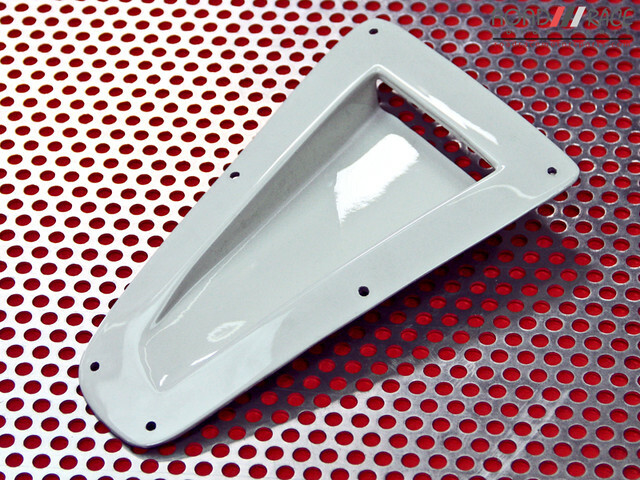 This vent can be implemented into the hood and can truly compliment the intakes we have designed for the 500, and Abarth. The size of this vent is 5x9 inches. NO MESH INCLUDED.